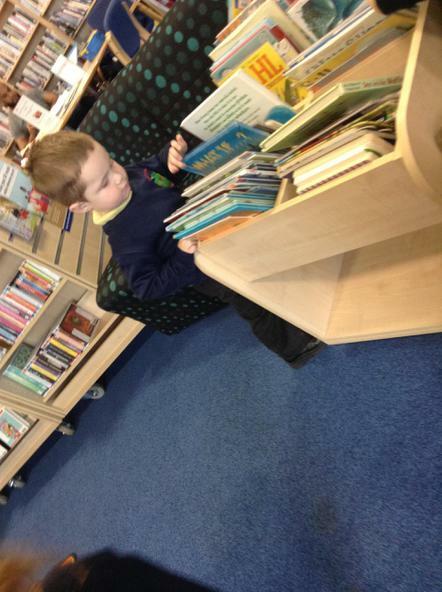 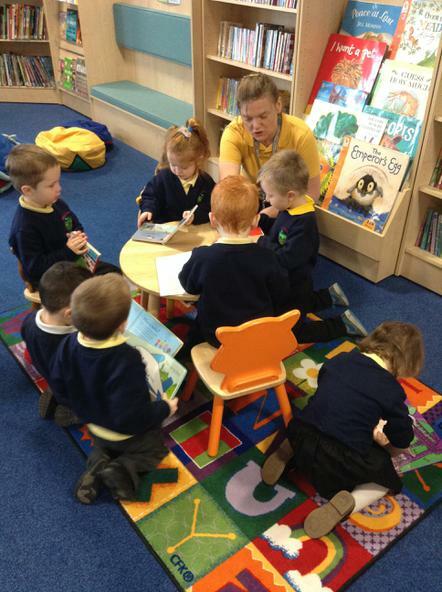 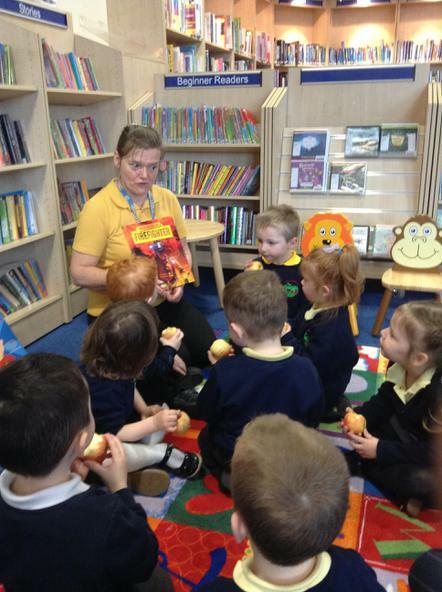 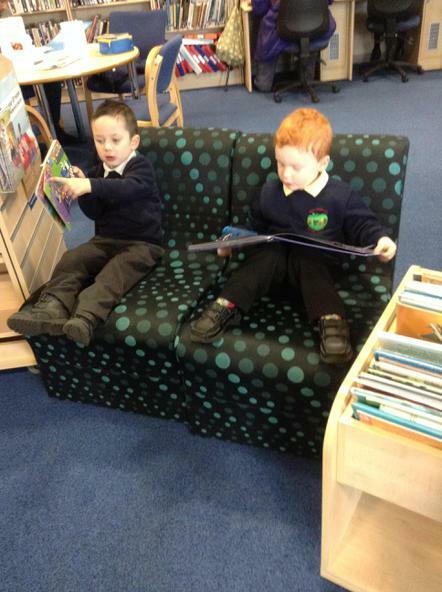 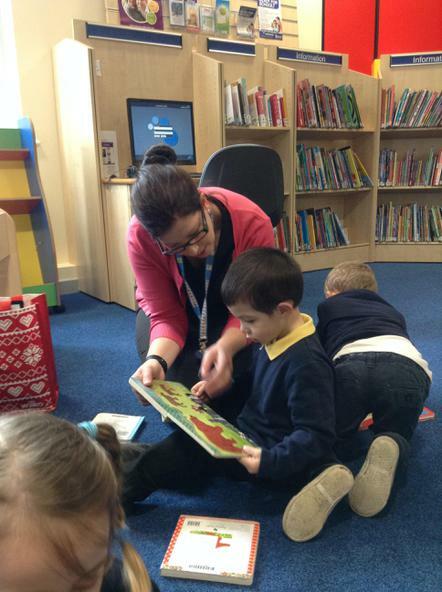 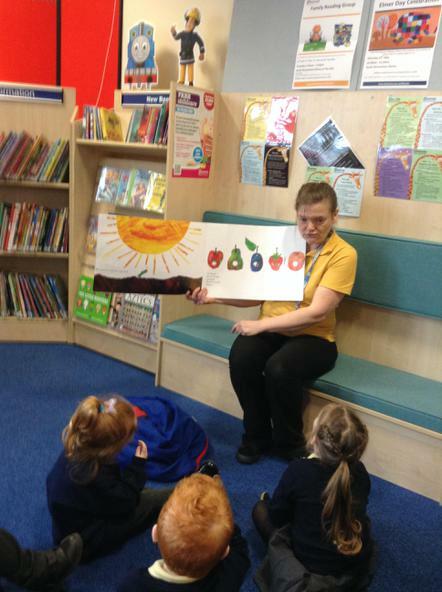 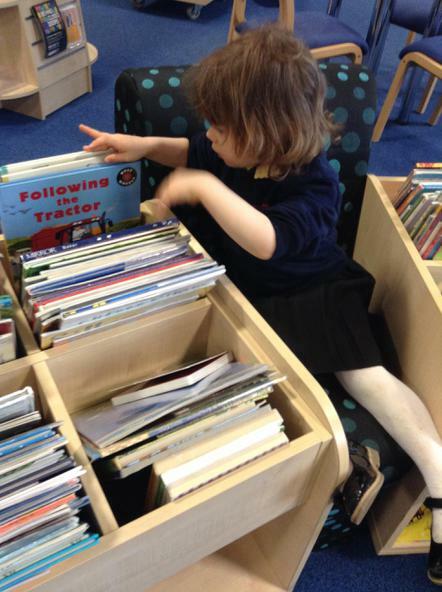 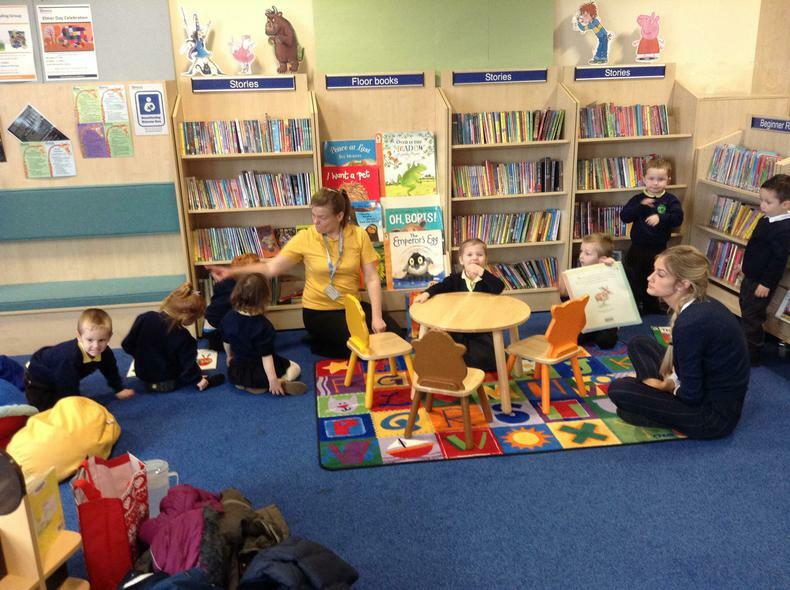 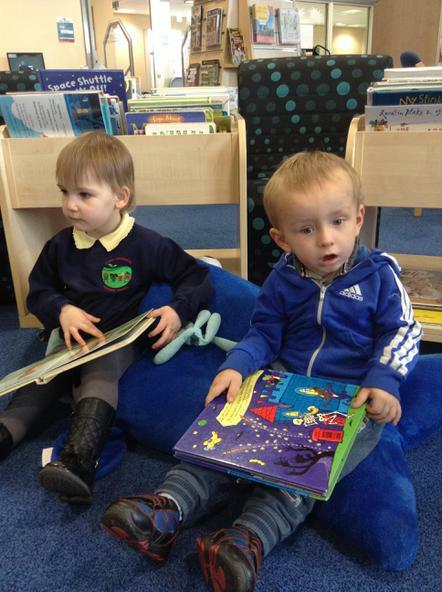 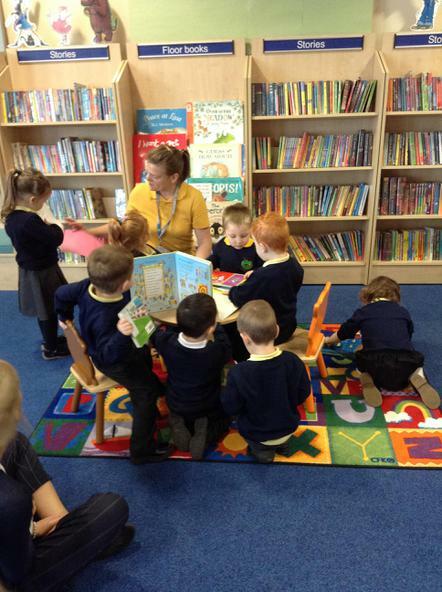 On Thursday 14th April, the orange phonics group went on a trip to the Library. 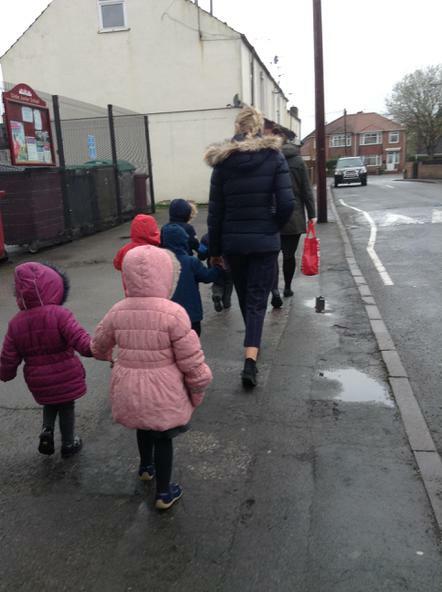 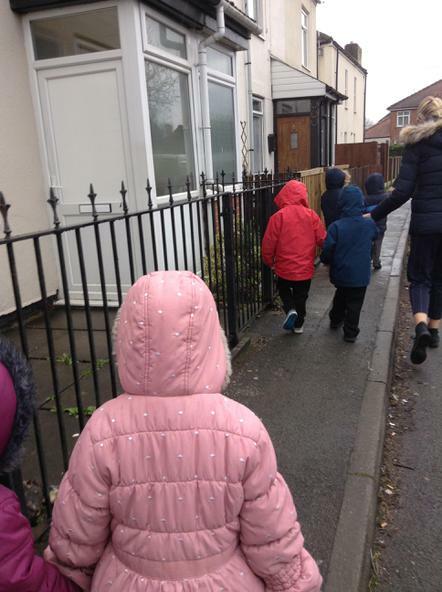 Apart from having to think carefully about our road safety skills, we really enjoyed the walk through our community. 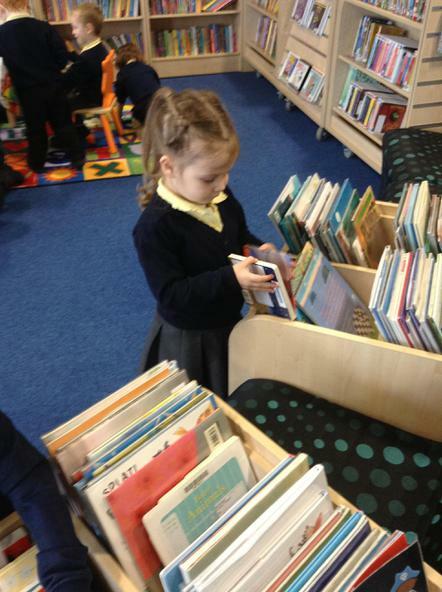 At the Library the children enjoyed looking at lots of different books, spotting the front cover, feeling the spine, thinking about the content and looking carefully at the pictures. 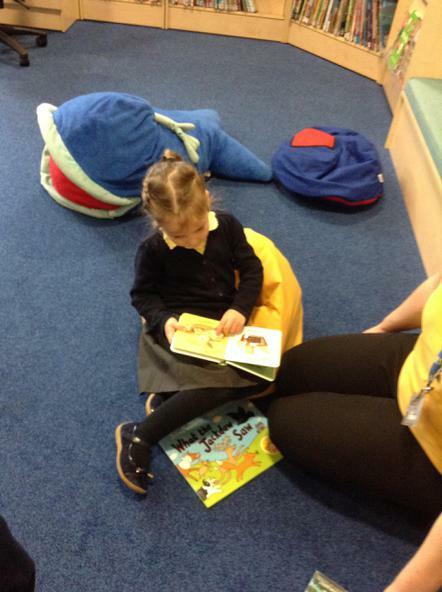 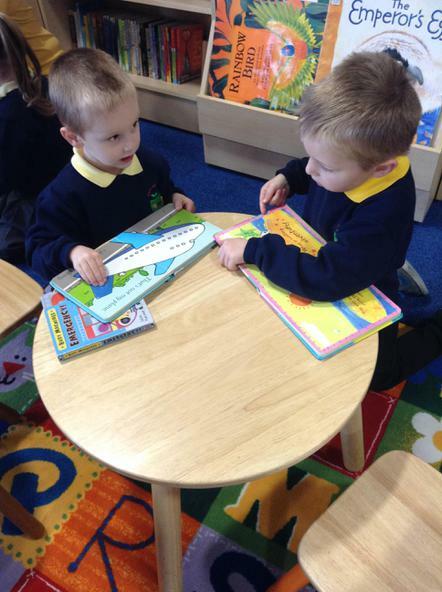 They had a snack and a drink and listened to a favourite story and then chose a book for Nursery. 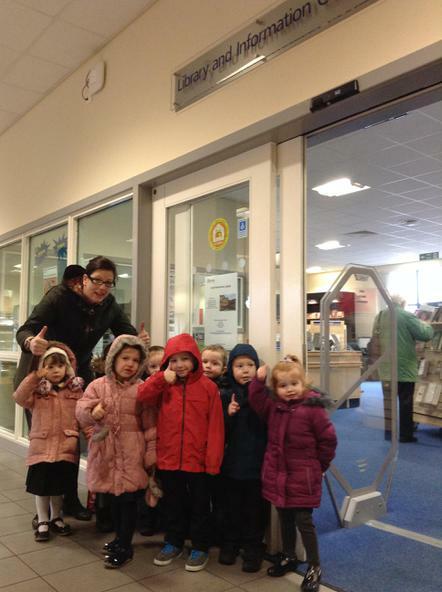 All the children watched carefully as the lady scanned Sam's ticket and stamped the book. 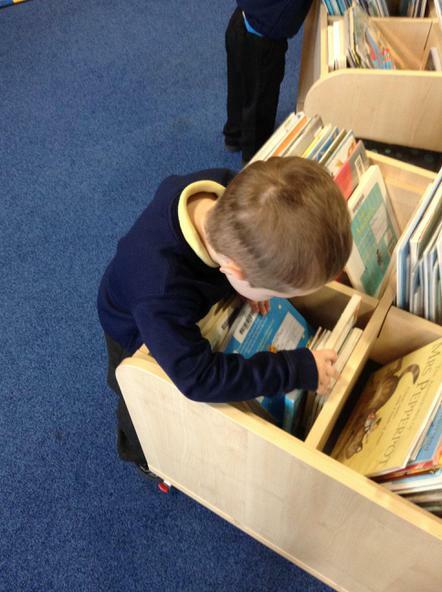 This is a follow up of the work covered in their phonics sessions at school. 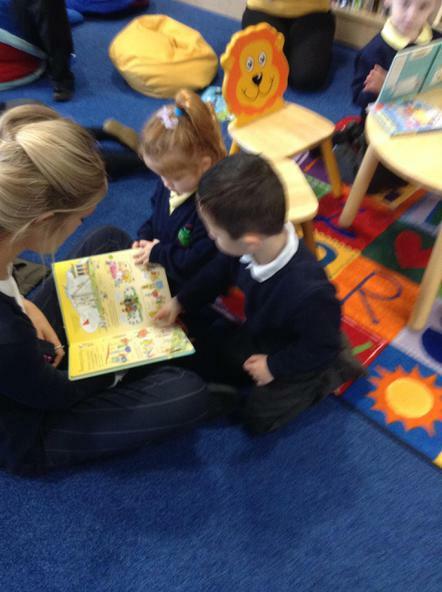 They have been listening to lots of different types of stories and picking out rhyming words and words that sometimes start with the same sound. 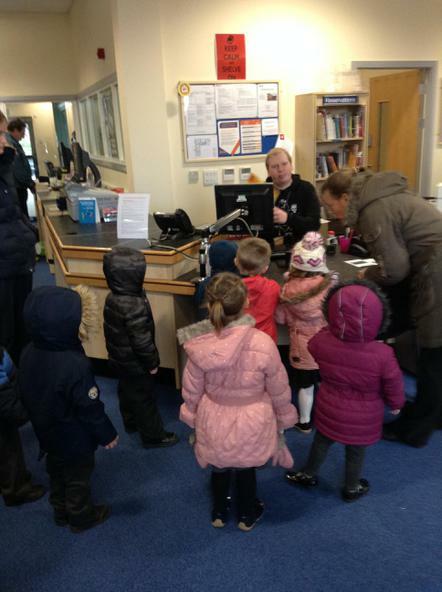 The children showed interest in where Sam got her books from and asked about the ticket at the front. 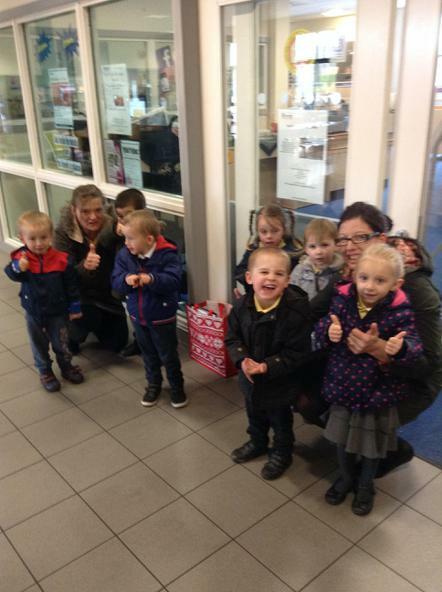 What well behaved children, we are very proud of you all!